A Hollywood icon finds himself riding around Los Angeles in a beat up Gremlin with a young female check out clerk from Carson. He's a long way from Brentwood but what looks like just another celebrity scandal reveals an unexpected friendship that will leave a lifelong impression. Once the center of Hollywood, an aging actor finds that his fear of failure has made his career dry up, and he's now forced to consider a role in a small independent movie. 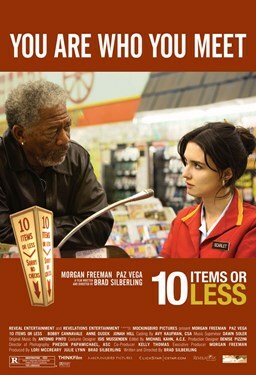 While researching for the role, he stumbles into Scarlet, a spitfire check out clerk at a Latino community market. Soon abandoned by his driver, the world famous actor must rely on Scarlet to lead him back to his side of the tracks. This trek through Los Angeles features richly unexpected situations, chance encounters, and personal revelation that neither character could ever have anticipated.